Magnets from different magnetic material require different magnetizing energy. For optimum utilization of bonded neo magnets, it is important to understand the required energy to fully saturate the magnets during magnetization. 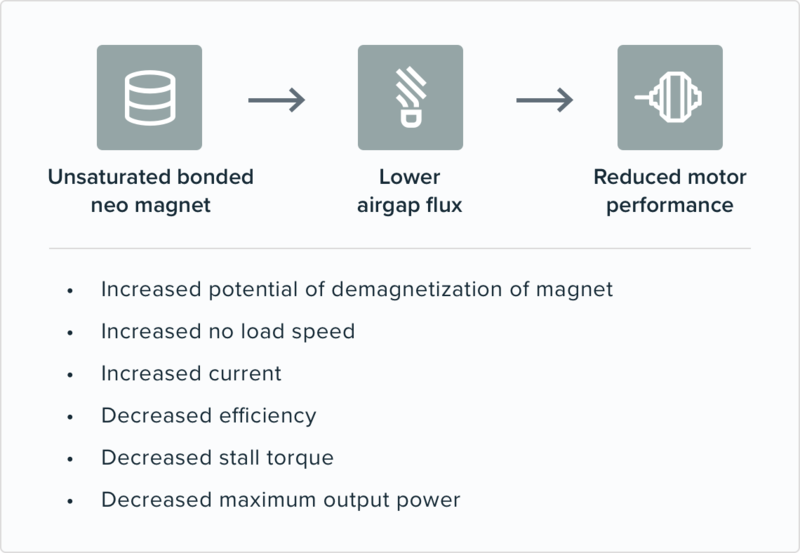 Magnequench Application Team offers technical guidance to magnetize bonded neo magnets. 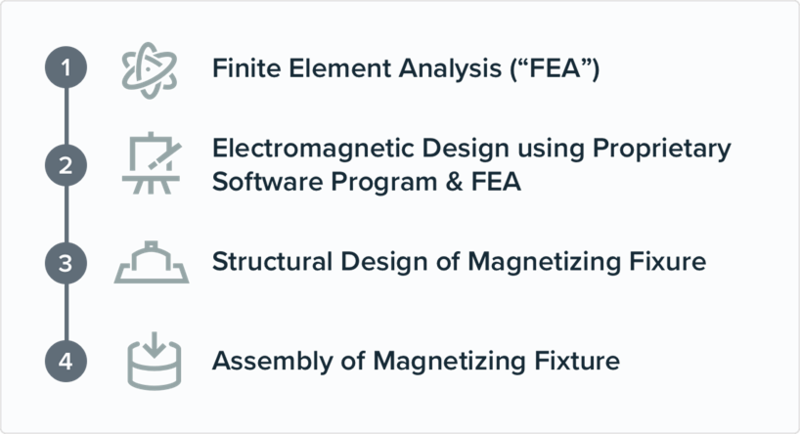 One key area is design and development of magnetization fixtures and systems. An unsaturated bonded neo magnet leads to lower airgap flux which will reduce motor performance. As MQ1™ magnets are isotropic, any magnetization profile is possible (radial or halbach, etc.). The magnetization profile is determined by the magnetization fixture design which is not the case for anisotropic magnets, such as ferrite and sintered NdFeB, where the profile is determined during the magnet production. It is, therefore, important to consider orientation when designing a magnetizing fixture for an isotropic magnet. Magnetization fixtures can be designed to skew the transition zone, this is typically done to reduce the cogging or noise in a motor. Skewing the magnet is simpler than skewing the armature or a rotor. A typical magnetizing system consists of a magnetizer and a fixture. 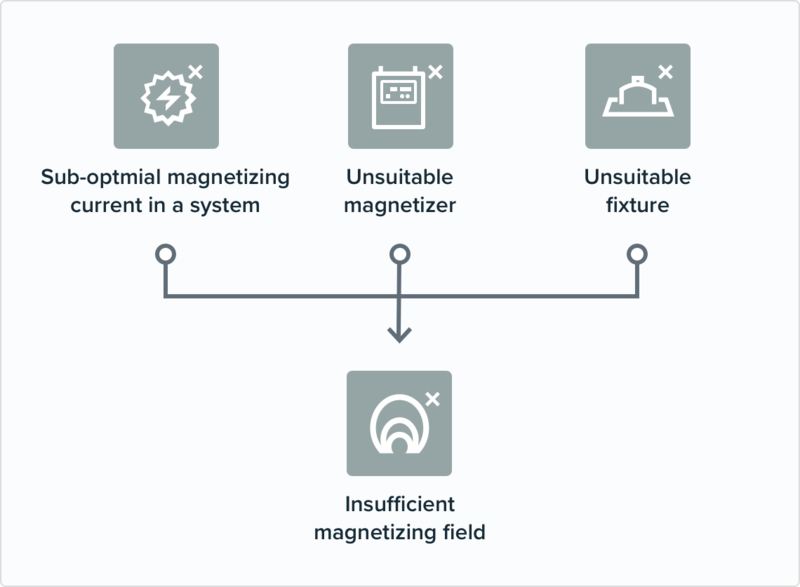 One magnetizer maybe suitable for many different applications, while a fixture is usually custom made for each application. Magnetizing may be performed at many points in the manufacturing process (after pressing the magnet, after producing a magnetic sub-assembly, or even after making a fully assembled product). Fixture designs can range from simple solenoids to very complex multi-pole arrangements. We will simulate the magnetization process initially by using FEA software. . The use of the simulated results helps to predict the actual motor performance more accurately, thereby drastically reducing the development time for any given design. 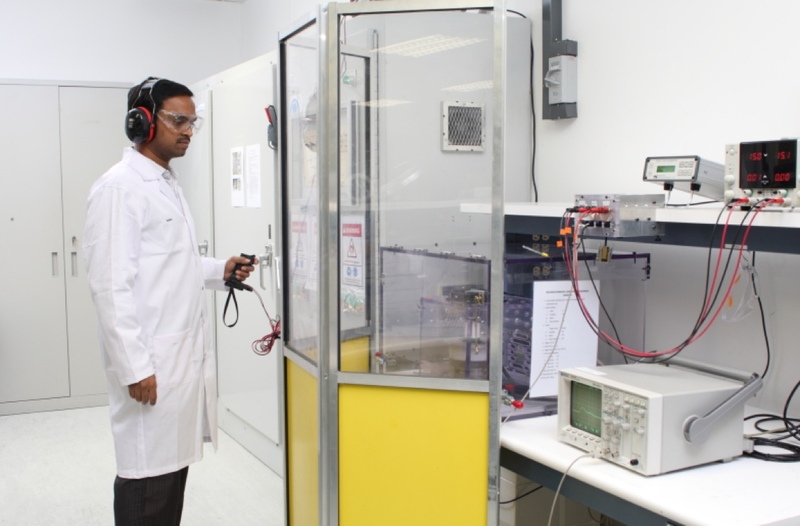 Magnetization fixture design and development expertise enables Magnequench to provide quick support to our customers. Please contact our Magnequench Applications Team to further discuss your magnetization needs.